TUG 13 Locker, aluminum hull inflatable boat with welded in forward locker. 3mm no maintenance aluminum hull construction etched, brushed & polished. 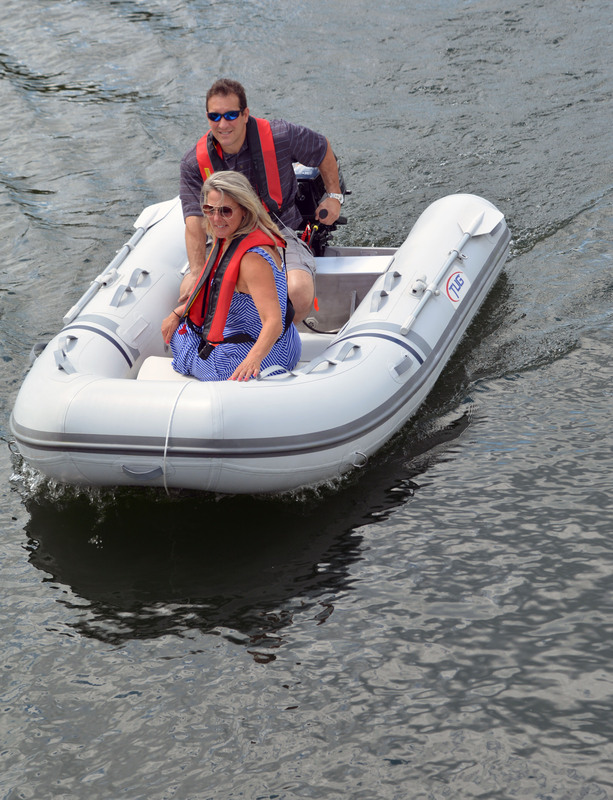 The smart design of the TUG inflatables starts with a high grade 3 mm aluminum hull – lightweight and more impervious to bumps and dings than ordinary fiberglass hulls – lined with a non skid rubber deck. 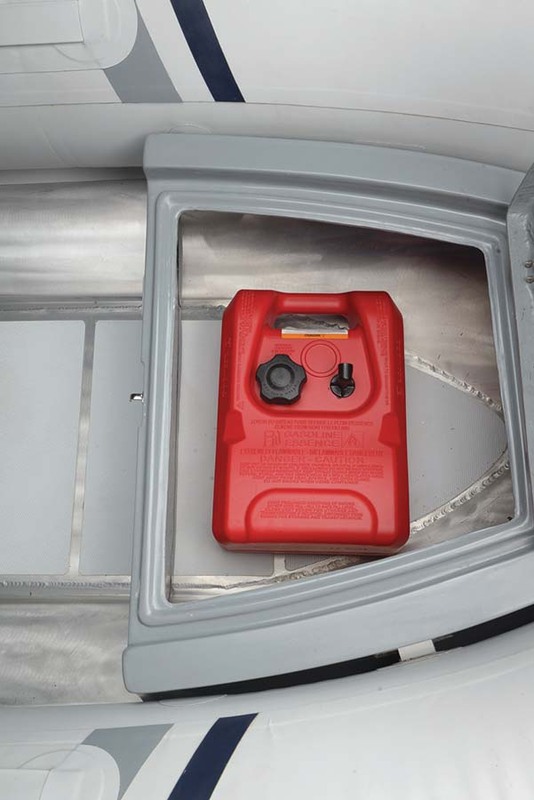 This model features a welded in forward locker equipped with a removable 3 gallon fuel tank. All TUG aluminum hulls are etched, brushed and polished – a more costly process than painting, but one that yields a durable, maintnenance-free finish. Made with Super Strong tough long lasting Orca Hypalon or durable, economical HEYtex PVC fabric, TUG inflatables deliver superior performance and resistance to scuffs, UV damage and chemical degradation. All Hypalon fitted boats are backed by a 10 year limited warranty and PVC fitted boats have a 5 year limited warranty. TUG Inflatable Boat Cover for the TUG 13, Sea Sprae Gray. TUG 9 Locker, aluminum hull inflatable boat with welded in forward locker. 3mm no maintenance aluminum hull construction etched, brushed & polished. TUG 11 Locker, aluminum hull inflatable boat with welded in forward locker. 3mm no maintenance aluminum hull construction etched, brushed & polished. TUG 8 Locker, aluminum hull inflatable boat with welded in forward locker. 3mm no maintenance aluminum hull construction etched, brushed & polished. 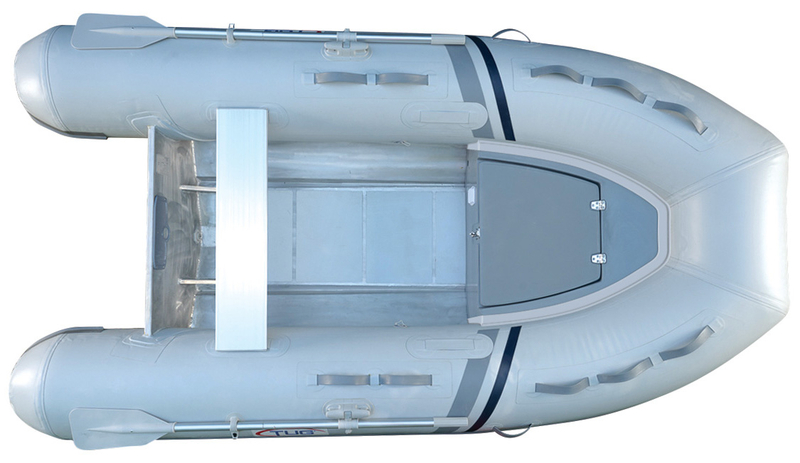 TUG 12 Locker, aluminum hull inflatable boat with welded in forward locker. 3mm no maintenance aluminum hull construction etched, brushed & polished. TUG 10 Locker, aluminum hull inflatable boat with welded in forward locker. 3mm no maintenance aluminum hull construction etched, brushed & polished.